*Avaliable in print and e-book, as well as FREE online read. 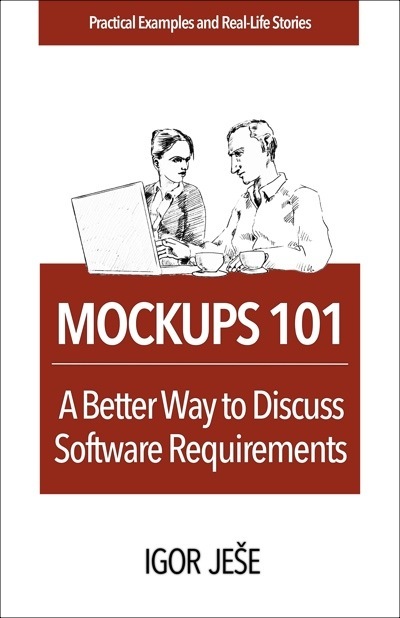 Use mockups to minimize misunderstandings and avoid new requirements popping up in the middle of the project. Just using the mockups is, by itself, no guarantee of success. Mockups are just a communication device, so how you actually use your mockups to communicate is what’s important. At the beginning of a project, make it clear your mockups are just that - work in progress. What follows are clear examples of what can easily happen otherwise, and a simple remedy. You sketch some screens and show them to your customer, but many times you will not be getting the precise feedback that you need. Here is what to do. How to present your mockups to the customer, test your own understanding, escape non-productive discussions and make your customers care. While simple sketches are useful for the early stages, it’s different for the visible results that your customer is paying for. Mock outputs need to be detailed, and your data realistic. How to compile all the information by using diverge-converge method. Or when in a crisis, how to get results in shortest time possible. You have to use mockups in a way that is meaningful for the circumstances. Read the analysis of two real-life projects, what were the challenges and their respective responses, and what the results were. Here is a different type of a case study, a quite ineffective way to use mockups on a real life project. Anti-patterns are identified, listed and explained. What makes and effective mockup tool, with checklists and answers to frequently asked questions. Overview of available tools, their categories and several recommendations for each. Many readers have reported the take-aways useful by themselves, and asked for them in one place, easily printable if possible. Here they are, chapter by chapter. 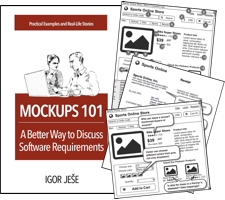 A short book that distills the essence of why and when mockups should be used. Lessons learned in the real world to help you use mockups in your career. Best practices, easy to follow and to apply. Simple, easy to follow suggestions that just make good sense. Great simple straightforward approach to using mockups. The concepts are well thought-out and the examples are equally wonderful. You can get print version from Amazon, purchase the e-book, or read the book free online. Igor Ješe has been working in software development since the early 1990s, with an emphasis on software requirements and development methodology. 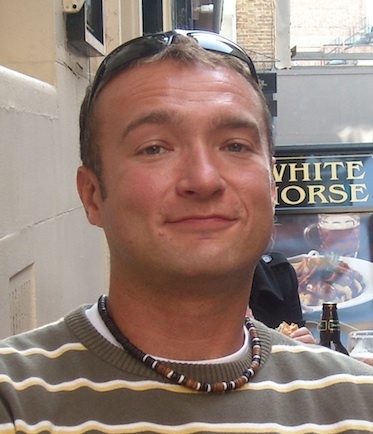 He is a certified Software Requirements Expert and a Project Management Professional.